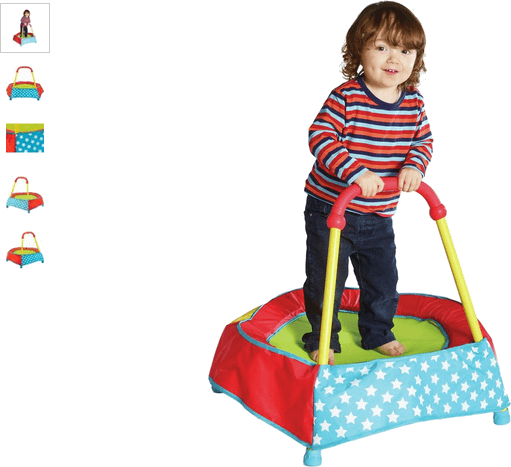 The Chad Valley Blue Toddler Trampoline is an incredible primary coloured first trampoline for kids (12 months + ) supporting active dynamic play both inside and out. Cushioned in all the right places, the padding gives safe bounce play to your little ones as they build up their strength and balance whilst engaging in fun play. Get money off with April 2019 free Argos voucher codes, see if there's a discount code for the Chad Valley Blue Toddler Trampoline product.